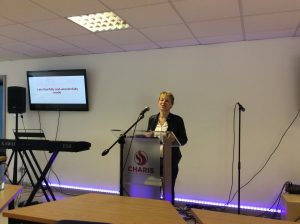 Charis Bible College Belfast entered its 13th year as a campus in 2017/18 and saw many great events from August through until May. 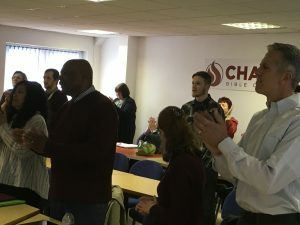 On August 28th, founders of Charis Healing School Carlie Terradez & Daniel Amstutz visited the college to minister for three days. 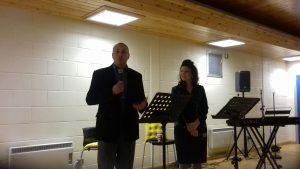 They received a great response as they talked on topics such as ‘ faith for healing’ with people coming from near and far to avail of prayer ministry. 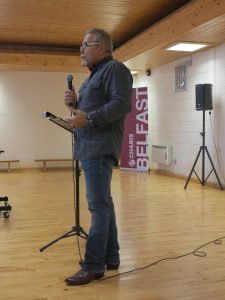 In the second week of September, Arthur Meintjes came to Belfast for a two day teaching session during the Charis Open Days. 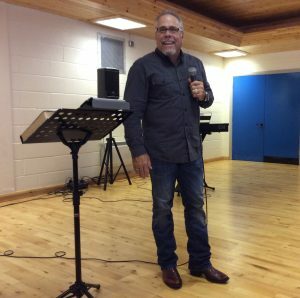 As ever Arthur ministered a powerful message of grace and left the student body as well as visitors with a deep revelation of God’s true nature. 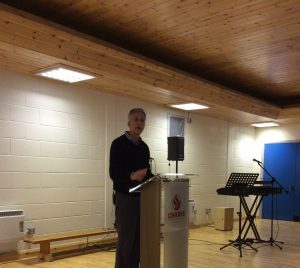 In November, Belfast welcomed the directors of Andrew Wommack Ministries World Outreach, Mike and Carrie Pickett. 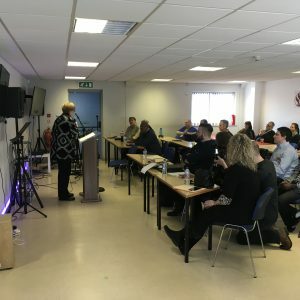 Mike and Carrie took time to meet students and staff in college and taught for three sessions, reminding everyone of the most powerful thing in the universe – the love of God. 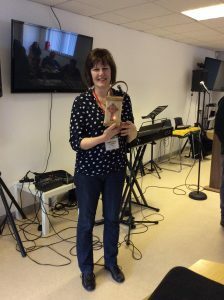 Students felt deeply ministered to and in some cases liberated in areas of their life. 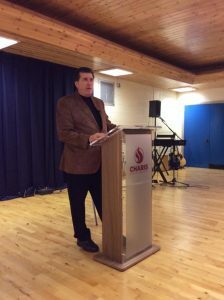 From January 21st-23rd, Cecil Paxton ministered to students and visitors at the the college. 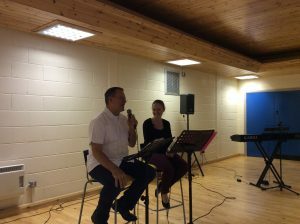 Cecil and his wife Lisa have a call to impart practical truths to the Body of Christ, particularly in the area of healing. 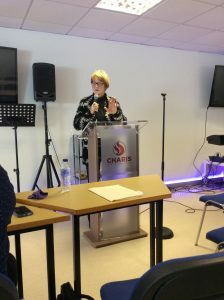 Cecil taught on the importance of having an established heart, and on learning to hear God. 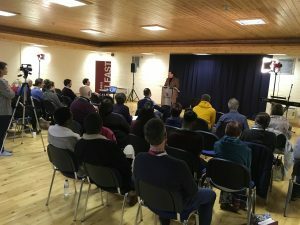 Students and visitors got to demonstrate what they had learned as Cecil oversaw a practical ‘Hearing God’ session at the college Healing School. 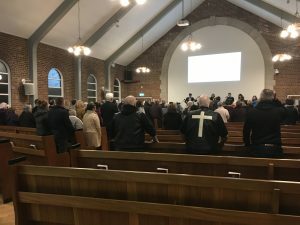 Many followers of Cecil’s ministry and newcomers to the college came to learn more and avail of ministry at the evening Healing Is Here event. 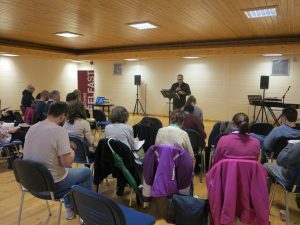 The end of January saw two mission teams come to Belfast. Firstly Charis Walsall second years with third year leader Tony Wilson arrived, and enjoyed a full schedule of events throughout their week. 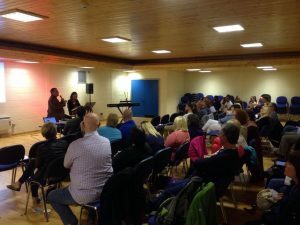 Students testified and taught at the college Disicpleship Evangelism programme, and ministered in local churches. 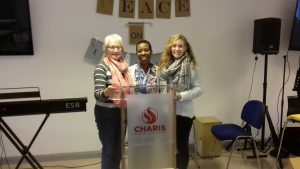 Then Charis Swtzerland led by director Katharina Plattner arrived to Belfast for their mission experience. The team enjoyed a truly cross cultural mission trip, taking in a variety of ministry settings within college and local churches. 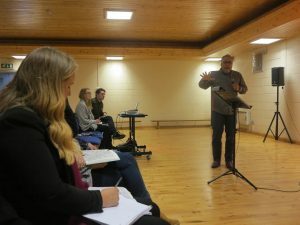 From March 6th-12th the Colorado Mission Team visited Ireland, ministering in all aspects of college life and creating relationship with churches and pastors in the greater Belfast area.